StressFitness, vol. II features Dr. Miller in warm, intimate Heart-to-Heart conversations, presenting powerful tools for your personal growth. His insights are based on his pioneering work with stress and its effect on health and peak performance. 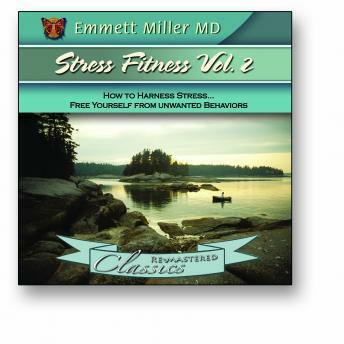 Through stories and songs, case studies and anecdotes, Dr. Miller illustrates how stress contributes to habits of addiction and dependency and the skills that can harness the energy of stress for your benefit.